The first recess of the year is here for the 115th Congress, traditionally a “District Work Period” set aside for representatives return to their districts, meet with their constituents and listen to their concerns. But what to do when your congresswoman refuses to fulfill her campaign promise and listen to the people she’s supposed to represent? 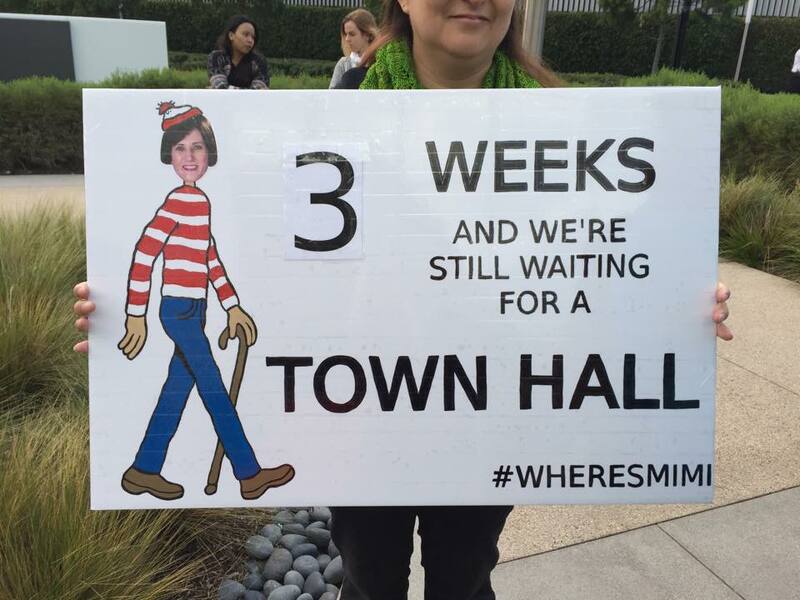 That’s the challenge the citizens of California’s 45th District have faced in the past month, as time and time again Rep. Mimi Walters refuses to make any sort of commitment to a town hall meeting. 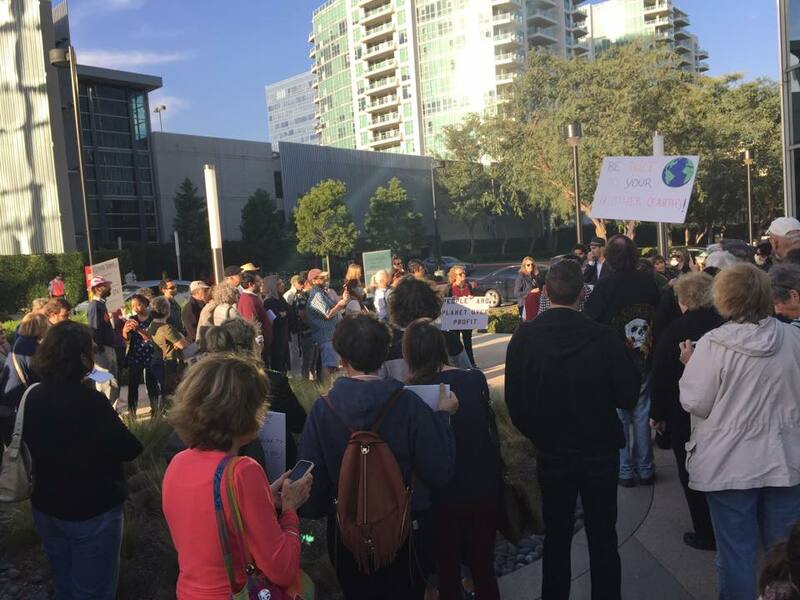 Every Tuesday since the Inauguration Day, citizens of the 45th district have showed up at the office of Rep. Mimi Walters, sometimes by the hundreds, requesting a town hall meeting to express their concerns about the policies coming out of the White House and ask her where she stands. 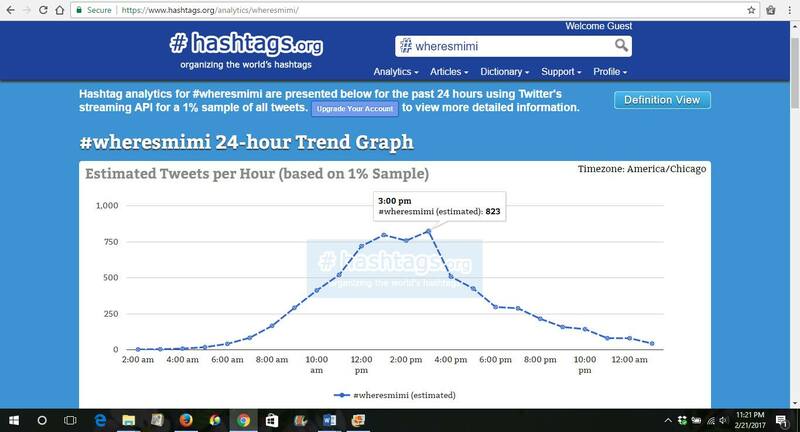 So far, the response to these demonstrations, if there’s been any response at all, is to defer or delay. The OC Register has already written about the challenges faced by Republicans in Orange County as the demands for town halls grows louder. Activists’ persistence may allow Democrats to peel off Republican votes on key issues, especially among GOP representatives in districts that voted for Clinton, Meyer said, pointing to aspects of Obamacare as an example. Representatives across the country are going to have a hard time voting for things that will hurt their constituents,” he said. The movement could also give members cover to vote their conscience rather than the party line, Meyer said, pointing out that Walters said in 2012 that she was opposed to a ban on Muslims entering the country. It could also accelerate any trend of Republicans turning against Trump. And if Republican House members stick by Trump, it could help Democrats recruit strong candidates in the next election cycle and appeal to a broader swath of voters. In other words, Walters can continue supporting Trump and lose support in her district or she can exercise some independence and vote against his policies. Either way, the resistance wins. Even the New York Times has noticed. It’s hard to think of a place that was less relevant to Mr. Trump’s fortunes in 2016. Mrs. Clinton’s success in Orange County, and in well-educated and Hispanic areas elsewhere in the Sun Belt, helped her win the popular vote — though there was no payoff in the Electoral College. But it’s districts like these that will decide whether the Democrats can make a serious run at control of the House. And still, no response from Walters. Fortunately, there are some great resources we can turn to for support. The first is from the the always-reliable Indivisible team. They’ve provided an Missing Members of Congress Action Plan, which explains “how to make your Members of Congress more accessible.” The eight-page plan includes some great advice on how to get the attention of even the most stubborn politicians and make them accountable. For this particular recess, scheduled from Feb. 18-26, MoveOn.org has launched an initiative called Resistance Recess to help constituents find events near them and provide them with tools for messaging on a variety of topics like health care, immigration and civil rights. The site provides helpful materials for successful resistance, including tips for asking questions, de-escalating potentially disruptive confrontations, getting media attention and making signs. Finally, for those who want to get involved in the “Where’s Mimi?” initiative, there is a rally scheduled for this Friday, Feb. 24 at 3:00 p.m. at her district office. The organizers are planning to deliver a petition with specific demands, including regular town hall meetings. For more information on the event please visit this page. You can also sign the petition at change.org. Those words should apply to everyone, not just those who voted for her. Cindy White is a resident of Irvine, a former entertainment journalist and a mother of twins. She now blogs about political matters related to California and its 45th District because none of this is normal.